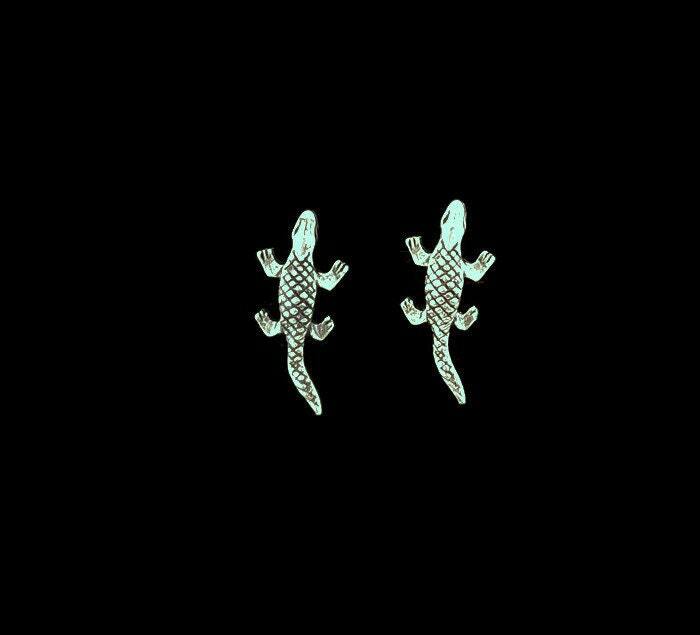 These are a pair of handmade sterling silver alligator earrings. They measure 0.9cm wide and 2cm long with the earring posts located behind the neck. They are very practical for every day wear.